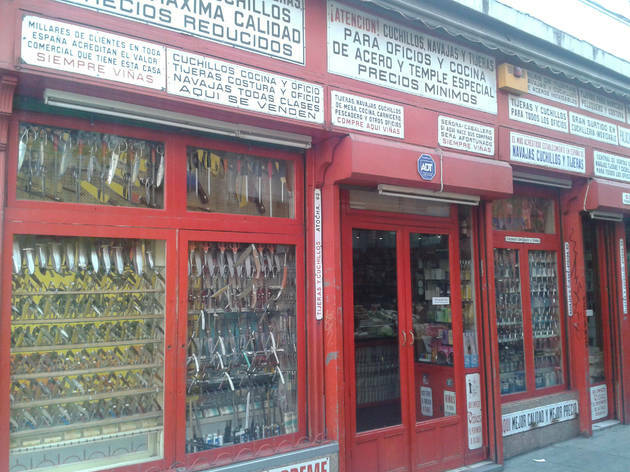 Its red facade, adorned with boards that advertise the benefits of its products, has remained practically untouched since it was founded back around 1920, as a perfume and cutlery shop. 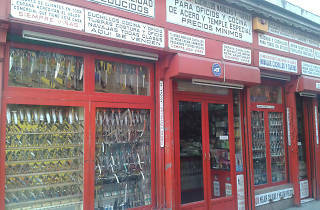 Over time, the import ban on Paris perfumes made ​​Viñas specialise in the sale of classic Spanish pocket knives, kitchen knives and scissors of all varieties. Today, about to celebrate its first century of existence, the business can boast of being one of the oldest of its kind in Spain.